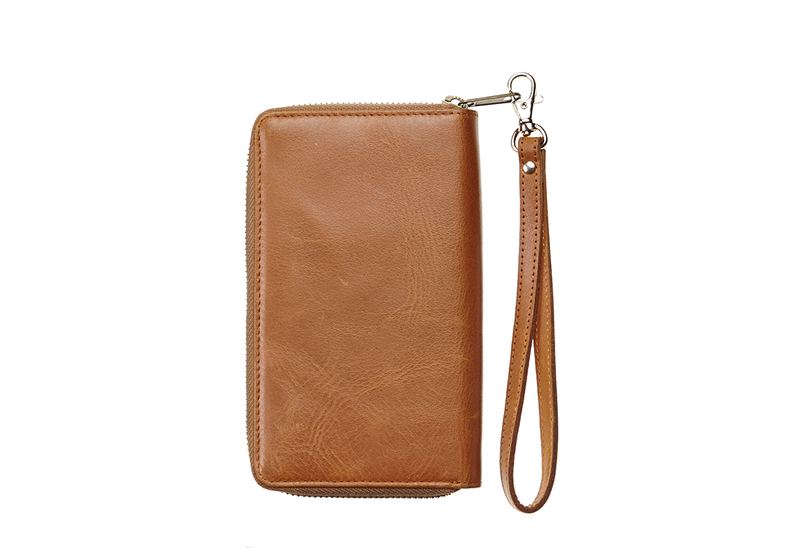 Billie is a spacious wallet with room for cards, coins and bills AND your phone! 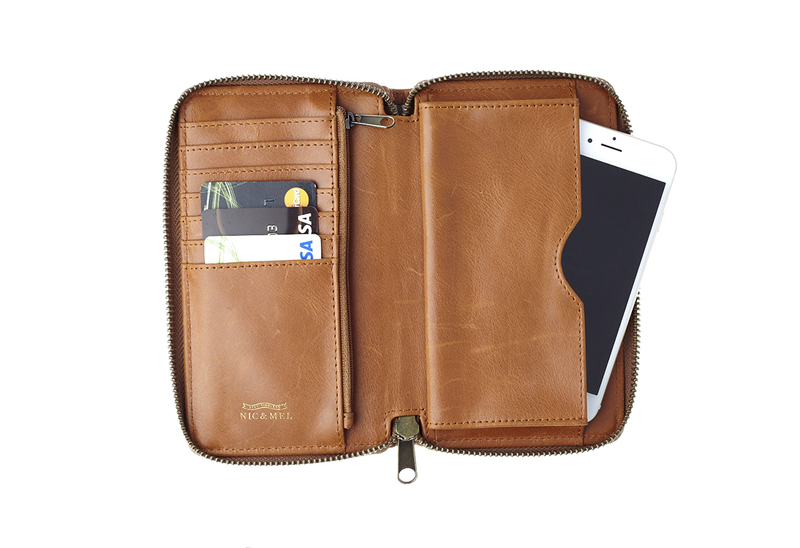 Billie phone wallet is made of cognac colored genuine leather. 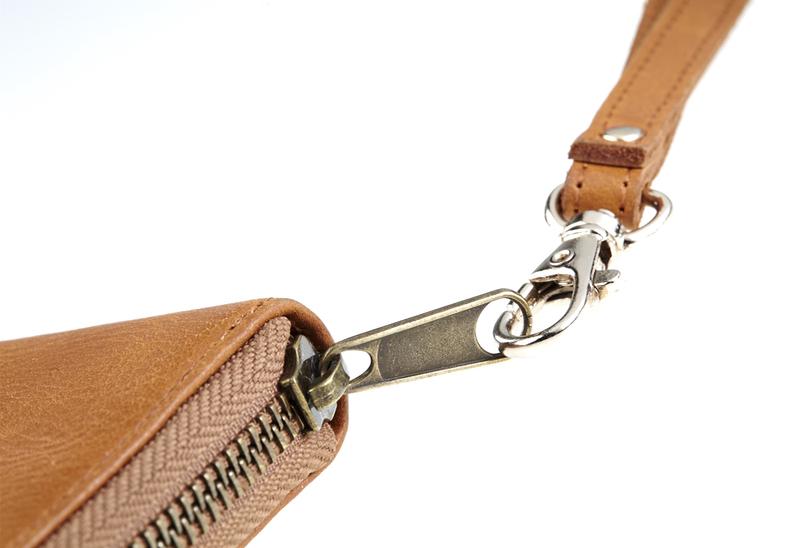 The wallet comes with a detachable strap. 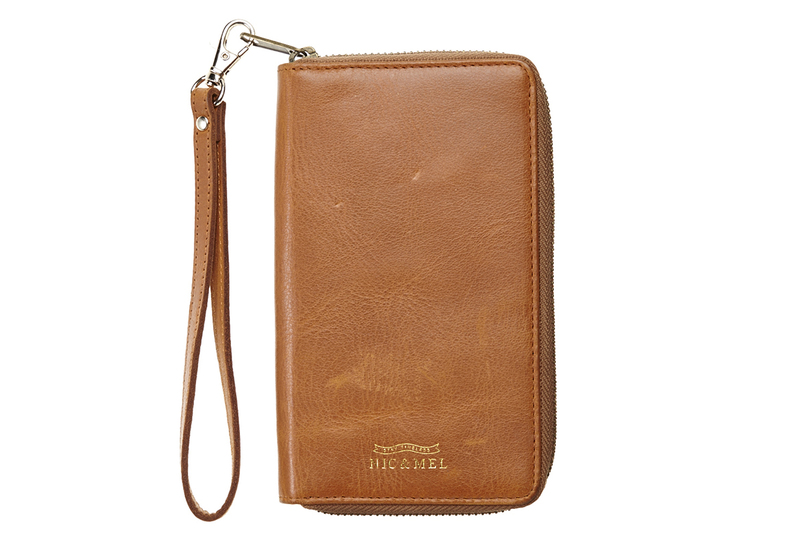 It is a rather big wallet that fits many different phones e.g. iPhone 4, 5/5S, 6/6s/6+ and 7, Sony Xperia and Samsung up to s6 och s6+. 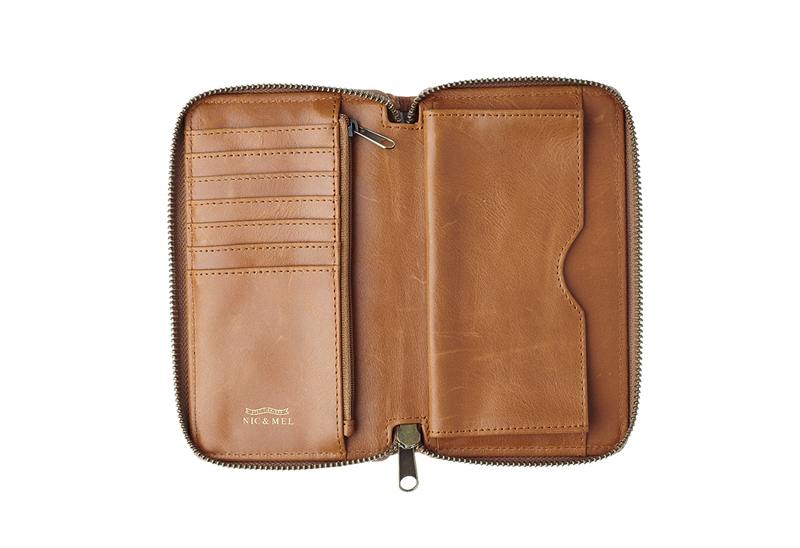 Except phone and bill pockets there are also seven credit card slots (that can fit 2-3 cards in each slot) and a zipper closing coin pocket.